This powerful initial volume in the War Stories: World War II Firsthand series includes events that took place before and after the devastating Pearl Harbor attack that brought the United States and Japan face to face in war. 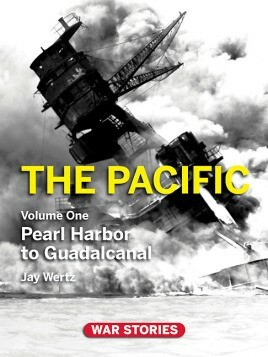 Included are eyewitness accounts of survivors of the December 7, 1941 attack on America's major battleships, defenders of Bataan and Corregidor; participants in the pivotal Battle of Midway, the Marines that first waded ashore at Guadalcanal and many, many others. Full color throughout, rich with images and original 3-D maps, the 9" x 12" volume also features solid historical analysis of the war's timeline and quotes from military and political leaders, giving a complete picture of this part of the war. The volume won Best Book 2011 in the History: Military/Political category from USA Book News.